The campaign is carried out by installing a cocktail of malware on the compromised PC. The first payload consists of the notorious data thief Pony, which systematically harvests all usable usernames and passwords from the infected system and sends them to a series of Control & Command servers controlled by the attackers. The purpose of this action is to abuse legitimate access credentials to web servers and CMS systems used by websites and to inject the malicious script in these websites so that the campaign achieves the largest possible distribution. In the second phase, the drive-by campaigns unfolds via the victim being moved from the legitimate website, which has been compromised, to a heap of dedicated domains which drop the infamous Angler exploit kit. The Angler exploit kit will then scan for vulnerabilities in popular third party software and in insecure Microsoft Windows processes, if the system hasn’t been updated. Once the security holes are identified, Angler will exploit them and force-feed CryptoWall 4.0 into the victim’s system. The campaign is extensive and it originates from a bulletproof hosting environment located in Ukraine. More than 100 web pages in Denmark have been injected with the malicious script, but the campaign is not limited to Europe. 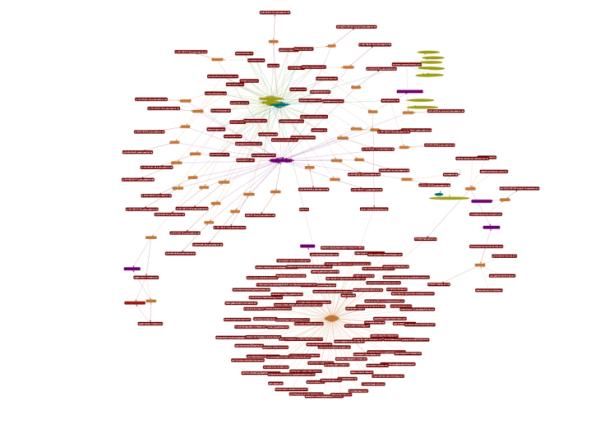 In the last 24 hours, we have blocked more than 200 new domains which were used by attackers to spread CryptoWall 4.0 via Angler in this drive-by campaign. Here is a diagram that illustrates the scale of this campaign, which is centered around six servers from the same provider in Ukraine. 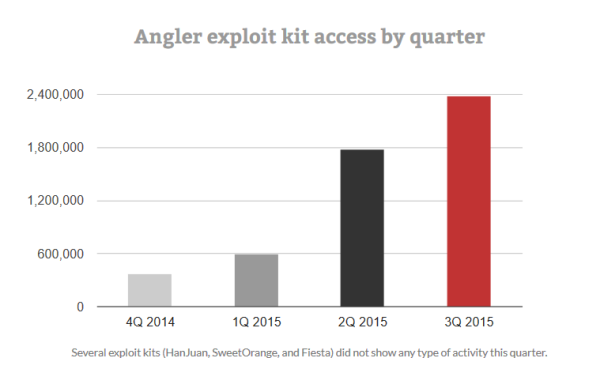 Let’s not forget that Angler continues to be the most widely used exploit kit, because of its capability to integrate Zero Day vulnerabilities and various exploits, but also because it can maintain a very low detection rate when it comes to traditional antivirus products. use products that can detect and block recent ransomware / Cryptoware variants which, as you’ve seen, can end up on your system without you downloading anything on purpose. Attackers move fast, they are resourceful, they understand market trends and are able to capitalize on Zero Days and other vulnerabilities that plague victims’ PCs, no matter where they are in the world. Not even a month has passed since we announced the advent of CryptoWall 4.0 and its improved communication and capabilities and it’s already being used in campaigns. Cyber criminals have a way of rapidly adopting new strains of malware that prove to be more effective and more productive in terms of return on investment. Cyber security basics are still a great way to keep safe from ransomware and campaigns such as this one, but Internet users also need to find the security products that are capable of identifying these threats and blocking them before they reach the system. It’s an ongoing battle, but there’s no way to avoid it unless you want to stop using the Internet altogether. Hi Steen! Sorry to hear about your issues. Please know you can always contact us at support@heimdalsecurity.com for any kind of help and information. We’re always here to help you make the most of your Heimdal product!